Six chord progressions, over 12 weeks, and using the cycle of fourths – you’ll be playing chords to songs in ANY key without hesitation, all which achieving a full and rich sound. 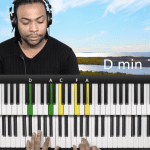 12-week chord progressions is a great course, it has been fun to practice. Recommend to anyone. Great Course! 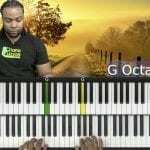 Highly recommend to anyone wanting to improve their progressions and learn all 12 keys. I mostly played in the Key of C but always wanted to venture out and use progressions in other Keys. Warren's course provided a clear plan and platform to accomplish my goal. Great course!… I would recommend it.